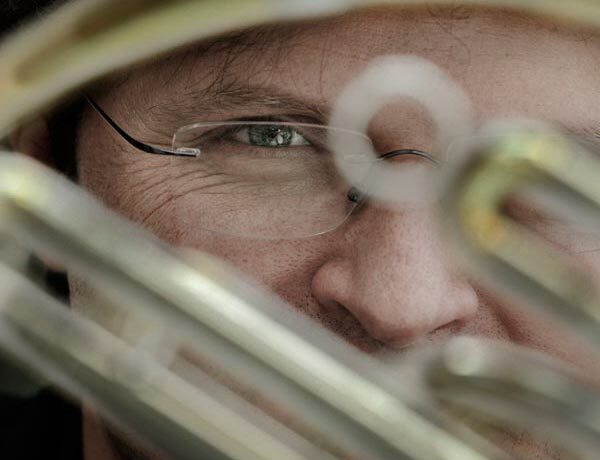 Nicholas Korth, “subtlest of first horns”, has held the position of Co-principal Horn with the BBC Symphony Orchestra since 2000. In this capacity he has performed in many ‘prom’ concerts at the Royal Albert Hall (including several first and last nights), toured throughout the world and been involved in countless radio and TV broadcasts. He lives in Hertfordshire with violinist Deborah Schlenther and their two children. 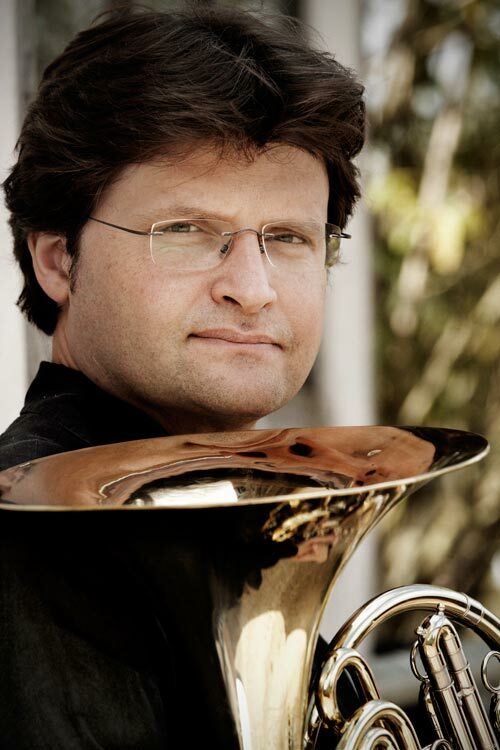 He appears regularly as guest principal and soloist with many ensembles including the London Mozart Players, the Britten Sinfonia and the London Sinfonietta. He is a member of the London Conchord Ensemble with whom he has performed much of his own music, recorded extensively and toured in the USA and Europe, playing in venues such as the Concertgebouw, Amsterdam and London’s Wigmore Hall. He has performed with some of Britain’s leading classical musicians including violinist Tasmin Little and clarinetist Michael Collins. He is also active on the London film session scene and has played on the soundtrack of many titles (including Harry Potter, the Voyage of the Dawn Treader, the Hobbit and Skyfall). He first had lessons with his mentor, the distinguished horn soloist Ifor James, at the age of eleven. Four years later he joined Ifor in Germany for a further five years study at the Musikhochschule in Freiburg. He has also worked in Norway as a member of the Oslo Philharmonic under Marriss Jansons in the early nineties. Over the past decade, Nicholas has become increasingly fascinated by the world of natural harmony, in particular in the extraordinary art of overtone singing. 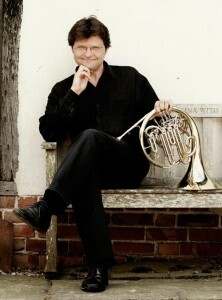 This is reflected in his recent series of compositions, Harmoniae Naturales I – V.
Nicholas Korth, “subtlest of first horns”, has held held the position of Co-principal Horn with the BBC Symphony Orchestra since 2000. In this capacity he has performed in many ‘prom’ concerts at the Royal Albert Hall (including several first and last nights), toured throughout the world and been involved in countless radio and TV broadcasts. He lives in Hertfordshire with violinist Deborah Schlenther and their two children. He has performed with some of Britain’s leading musicians including violinist Tasmin Little and clarinetist Michael Collins. Over the past decade, Nicholas has become increasingly fascinated by the world of natural harmony, in particular in the extraordinary art of overtone singing. This is reflected in his recent series of compositions, ions, Harmoniae Naturales I – V.
since 2000. In this capacity he has performed in many ‘prom’ concerts at the Royal Albert Hall (including several first and last nights), toured throughout the world and been involved in countless radio and TV broadcasts. He appears regularly as guest principal and soloist with many ensembles including the London Mozart Players, the Britten Sinfonia and the London Sinfonietta. He is a member of the London Conchord Ensemble with whom he has performed much of his own music, recorded extensively and toured in the USA and Europe, performing in venues such as the Concertgebouw, Amsterdam and London’s Wigmore Hall. He is also active on the London film session scene.